I have fond memories of Chicken Cordon Bleu. I think it might have been the first “meal” that I ever cooked. I put meal into quotation marks, because I really mean this was the first food that I pulled from the freezer and re-heated…all by myself. I like these little frozen chicken cordon bleus that my mom always had on hand. They were good, filling and easy to prepare for myself. I remember enjoying the flavor combinations – the rich sauce and cheese, with the ham chunks, all wrapped up in a lightly coated chicken breast. So yummy! I didn’t go “full stop” with a sauce…but decided that adding the mustard to the bread slices, combined with the melty Swiss cheese would be enough. And it is. This is just a lovely sandwich…and not any harder to put onto the dinner table that a regular grilled cheese. You just need a few extra ingredients! Heat griddle or skillet over medium high heat. Butter the outsides of the bread and spread spicy brown mustard on the insides. 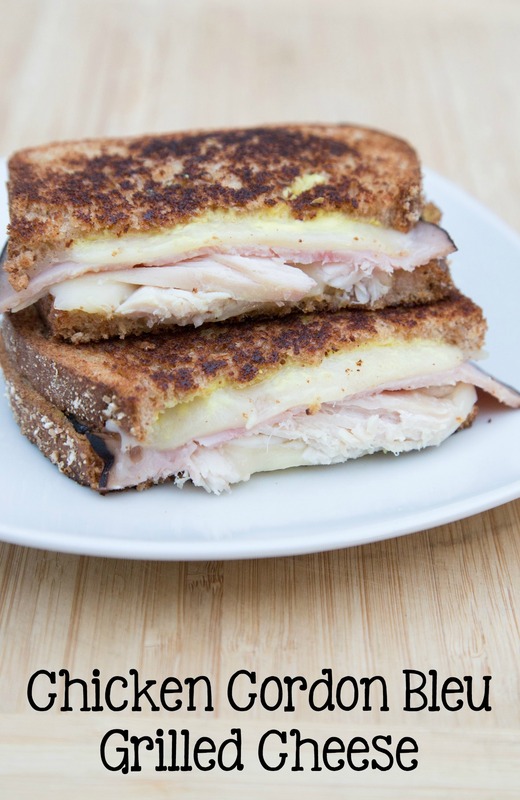 Assemble each sandwich with 1 slice chicken, 1 slice ham, 2 slices cheese. Grill on both sides until golden brown and cheese has melted. 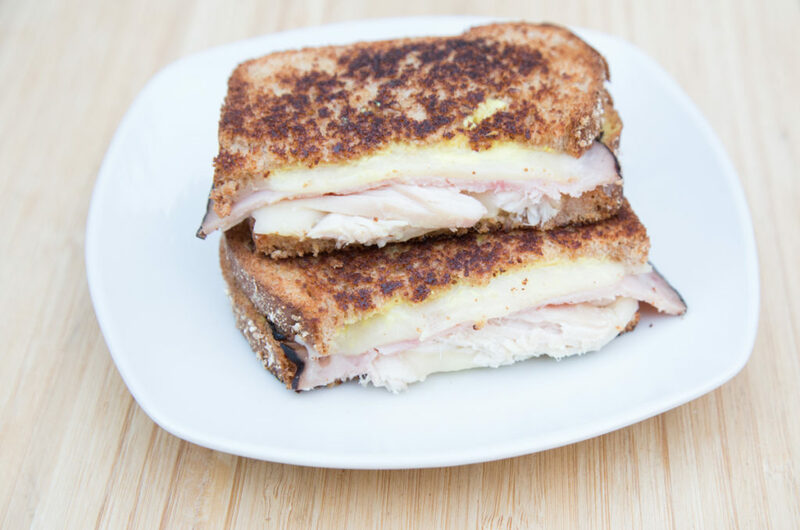 Serve Chicken Cordon Bleu Grilled Cheese Sandwiches, warm with fruit and chips.